We are pleased to announce that an exciting new book will be released from The Women's Health and Action Research Centre (WHARC), which publishes the African Journal of Reproductive Health (ARJH), a journal available on Bioline. The book will be released on September 30, 2014. 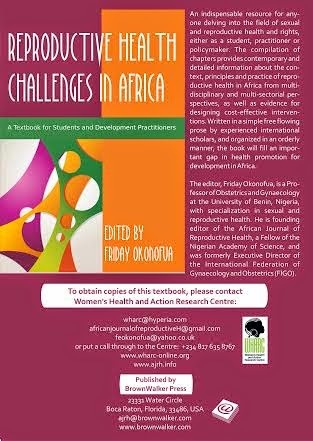 The book is titled Confronting the Challenge of Reproductive Health in Africa: A Textbook for Students and Development Practitioners. It is edited by the Editor-in-chief of ARJH, Professor Friday Okonofua, a professor of Obstetrics and Gynaecology at the University of Benin, Nigeria. 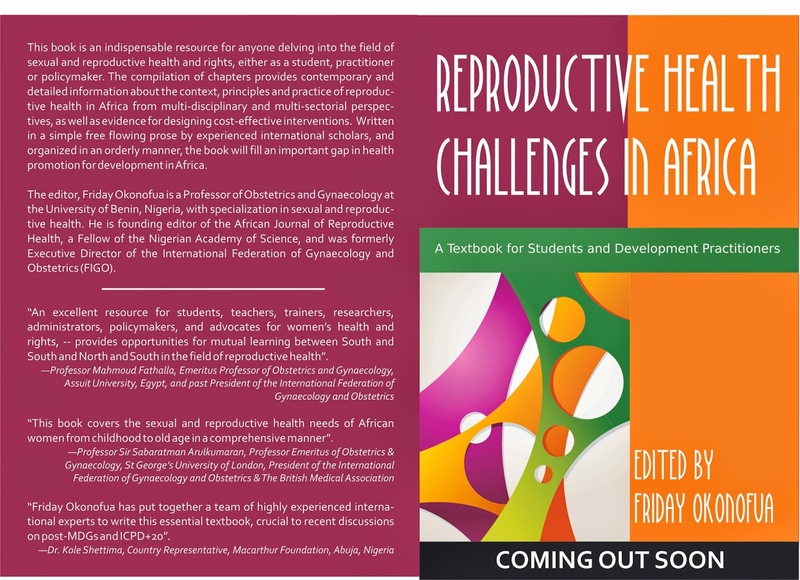 In the foreword of the book, it is mentioned that there are few textbooks and courses integrated in the curriculum of the field of sexual and reproductive health at the university level in Africa. In addition, indigenous practitioners are few in number and receive little funding. Confronting the Challenge of Reproductive Health in Africa offers students, practitioners and policymakers an in-depth and easy-to-read scientific look at the history, practices and principles of the field of reproductive health in Africa and aims to promote the field for the development of Africa. The book goes beyond providing information by engaging the individual and inspiring conversation for further research and policies to be created from what is currently implemented. Among the topics discussed are maternal mortality, unsafe abortion, female genital mutilation, infertility, family planning and gender-based violence. Confronting the Challenge of Reproductive Health in Africa is comprised of 19 chapters, written by contributors who have years of experience in research and programming in the field of sexual and reproductive health.